A Photo Mosaic is a Photograph/Picture that is composed of many small pictures which act as pixels to form the bigger photograph. Mosaics usually create an exact illusion of the photograph when seen from a distance and the individual photographs that are acting as pixels become more clearer as we come closer. 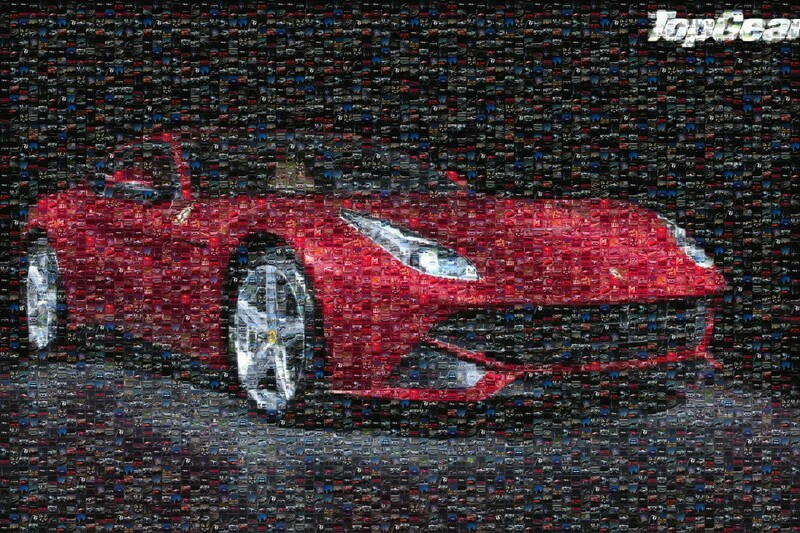 Have you ever wanted to create such a Photo Mosaic but didn’t know how to do it? We’ll show you how to create one easily using websites. Lets have a look at five of the best ones. Mozaiq is an online photo mosaic creation website. It has a simple and straight-forward interface. To start off, users have to upload an image of their choice on the website. The site supports png, gif and jpeg formats. After selecting the image, one has to click on go, and the site starts the procedure of selecting the images that match the colour distribution of the main image most closely. The next step is the generation of the mosaic. When the process finishes, the photo mosaic is displayed like a thumbnail. All the images that are used to create the mosaic have their contributors listed below. On clicking different portions of the mosaic we can see the enlarged view of the images which were used to create that mosaic. Different sizes of the wallpaper are also available and can be opened by clicking on the desired size. Overall, Mozaiq is a no-frills website that creates Mosaics quickly and efficiently. PictoSaic is an online Photo mosaic creation website. On the first impression, it looks a bit plain. The menu to be used is placed at the bottom on the website’s page. The picture can be uploaded in gif, png and jpeg formats. The website allows users to specify many options according to their preference. The creation type, source galleries, addition of a private gallery and the number of times the image appears in the mosaic can all be changed. The pre-specified source galleries have many categories ranging from animals and plants to travel and vehicles. After every option has been selected according to preference, the site starts mosaic creation once the ‘Go’ button is clicked. It takes some time to create the mosaic after which the final render is presented like a thumbnail with options to download it in full size or small size. We advise you download the full size image because then, you can zoom into the image and see the smaller images that have been used for creating the mosaic. The mosaic created using PictoSaic looks absolutely stunning. It has clarity and the render looks much closer to the original image as compared to the result we got from Mozaiq. Picartia.com is another web based Photo-Mosaic creating tool. I found its interface one of the best in the lot. Everything is neatly laid out and gives the feel of something users will like to use in the long run. The first step as usual, is selecting the image to be created into a mosaic. After selecting the image, the site asks the users to specify the categories from which the pictures in the mosaic will be sourced. The categories are varied and cover many walks of life ranging from food to jet-fighters. The last and final step is specifying the horizontal and vertical size of the mosaic. PicArtia lets users create mosaics of upto 5 MegaPixels for free. Rendering the mosaic with the desired settings takes about 10-20 seconds after which the site asks for a registered email address to which it sends a numerical code. This code is then entered in the next download box after which the mosaic can be downloaded. Having enjoyed the user-interface, I was expecting an equally good mosaic render. On finally seeing the mosaic, at first I was pretty happy. But then, I noticed something. PicArtia had put its logo on the bottom right of the mosaic, unlike other mosaic creators. So, if you want a superb interface and are okay with having a PicArtia badge on your mosaics, this is the website to go for. Otherwise, head elsewhere. Easymoza has an easy-to-use interface. The steps are similar to others, the first one requires loading the picture to be created into a mosaic. In all the mosaic tools we have tested till now, the second step involves selecting categories from which related pictures are automatically searched for by the website and created into the mosaic. However easymoza doesn’t allow users to select categories and requires that users upload their own photo collection instead(a minimum of 250), a put-off for most users not having their own photo collection. Another reason it disappoints us, is because of the time it takes for rendering a mosaic. While others took only a few seconds to render, easymoza took about a minute. Even the final mosaic, which could have been the saving grace of easymoza didn’t impress us at all. It looked colourless and pale, and there was a lot of repetition of the pictures we uploaded, maybe because they weren’t sufficient in number. But then, why would one like to create a mosaic using his own photos when there are other tools available which do the necessary stuff for users much faster and better? We do not recommend easymoza to any user. PixiSnap is an online-mosaic creator whose functionality is almost similar to other photo mosaic creators. As usual, the first step is the selection of the main photograph followed by the selection of categories from which are photos are sourced for filling the mosaic. After a few more steps for adjusting the brightness, we got our final mosaic. It didn’t look any good. All photos in the mosaic were pale and discoloured. We were very disappointed with PixiSnap’s results and recommend users to stay away from this app.